One of the least expensive and most effective changes you can make in your home is replacing your light bulbs. According to Energy Star, one of its qualified compact fluorescent light bulbs (CFL), which cost just a few dollars, “will save about $30 over its lifetime and pay for itself in about 6 months. 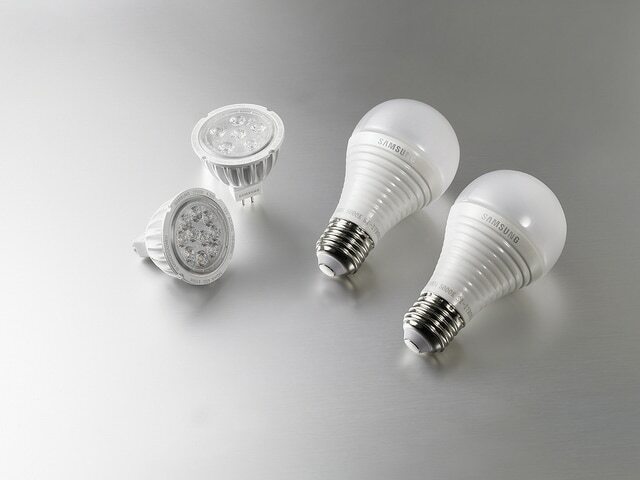 It uses 75 percent less energy and lasts about 10 times longer than an incandescent bulb.” Although some people are concerned because CFLs contain mercury, Energy Star says that CFLs do not release any mercury when in use, and actually reduce mercury emissions because they lessen the need for electricity from power plants that emit mercury. Learn more at Energy Star’s CFLs and Mercury page. For more energy-efficient lighting, see Bright Ideas for Home Lighting. Using less water will lower your water bill. And when you use less hot water, you’ll also see savings in your gas bill, or your electric bill if you have an electric water heater. According to DOE, water heating is the third most energy consuming function in the home. To cut down on water use, take faster showers and be conscious of the water you use when washing dishes and clothes and preparing food. You can also save energy by lowering your hot water temperature. According to DOE, a water thermostat setting of 120 degrees is sufficient for most uses. If you want more water-efficient fixtures and appliances, refer to the EPA's WaterSense program when buying a new faucet or shower head. See Save Money on Water for more on the WaterSense program, or the DOE site on Water Heating. Planting shade trees around your home can lower your summer energy bill by reducing your home’s exposure to the sun. The Sacramento Municipal Utility District, which operates a program that gives free trees to its customers, says that properly placed tress can cut your summer electric bill by up to 40 percent. Energy savings from a tree varies greatly depending on its size and location in relation to your house. Planting shrubs and bushes around your home can improve insulation in the summer and winter. Learn more about using trees for shade from Money Does Grow on Trees. Unplugging devices when they’re not in use is a simple way to cut your energy costs.